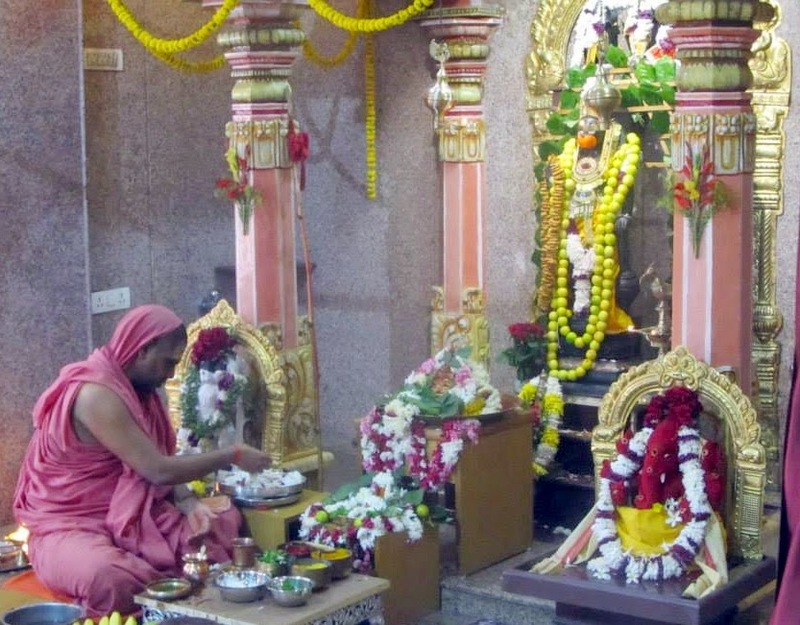 Hanuman Dwarka Mandir was consecrated on the 15th November 2013, by His Holiness Dr. Sri Ganapathy Sachchidananda Swamiji, Founder Pontiff of Avadhoota Datta Peetham, Mysore. The First Anniversary of the temple was celebrated on 16th & 17th November, 2014, in the holy presence of His Holiness Sri Datta Vijayananda Teertha Swamiji, the Junior Pontiff of Avadhoota Datta Peetham. Various Havans, Vedic Rituals & Abhisheka was performed to all deities. Bhandara (Mass Food Feeding) was organized on Sunday, 16th November. The celebrations were also interspersed with the divine Pravachan (Speech) of HH Sri Swamiji, Veda Chanting by Pundits, Sundar Khaanda & Hanuman Chalisa Chanting & Bhajans by the devotees present.